Welch, Deborah and Michael Payne. "Coal River Springs Territorial Park". 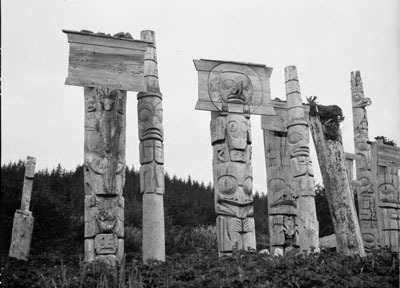 The Canadian Encyclopedia, 24 January 2014, Historica Canada. https://www.thecanadianencyclopedia.ca/en/article/coal-river-springs-territorial-park. Accessed 26 April 2019. Coal River Springs was established as a territorial PARK and ecological reserve in 1990. 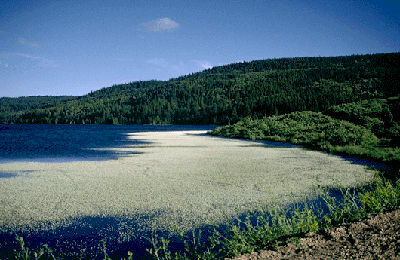 The park is located about 65 km east of WATSON LAKE, YT, near the Yukon-BC border. The springs have created a series of beautiful limestone terraces holding pools of cold, blue water. Unlike many thermal springs in Canada these are cool rather than hot springs. The terrace walls are composed of tufa, a precipitate of dissolved limestone, and grow at a rate of 2-3 cm a year. Eventually these walls grow together as domes and new pools develop on top of the old chambers. The springs have helped to create a distinctive environment in the area, which supports both a rich and varied plant life and an abundant animal population. Wolves and black and grizzly bears are found in the park along with moose, beaver and other mammals. Because of the fragile ecology of the area, access to the park is limited. It can be reached by a helicopter flight from Watson Lake, or by whitewater canoeists or rafters willing to undertake a week-long trip on the Coal River.